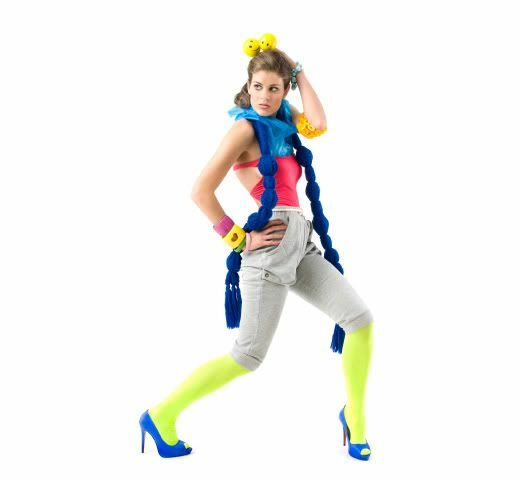 The scarf I made was used in a shoot for the Electric Safari Talent school (yeah random I know) in Sydney. Yay for my scarf, its been to Sydney and I haven't! Yesterday at Uni I burnt myself with a hot glue gun trying to make a new styrofoam ball scarf in class. Hot glue burns are so painful I wasn't able to finish my creation and instead consoled myself with chocolate cake. This makes me miss the days i studied fashion. Chocolate cake makes everything better! Um... that scarf is AMAZING and I WANT ONE. Ouch...hot glue guns are dangerous! Long time reader first time commentator. 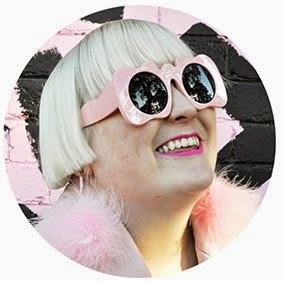 I must have been living under a rock but I just read through your Japan blog - what a fantastic read - can I be so bold as to say I love you with the side swept fringe and the smiley bag is so cute - I hope you still use it. nice work hayley scarf looks great! hope burn is ok..! I hope you've recovered from the glue incident...and I hope you make some more scarf-goodness, I want in! those pictures are great and your scarf is sooo cute! I love the colour! yep love the scarf! you should def make some more! hey, just discovered you blog, loving it, is really cool. Just started my own http://fashionwrap.blogspot.com/ would love you to take a look!